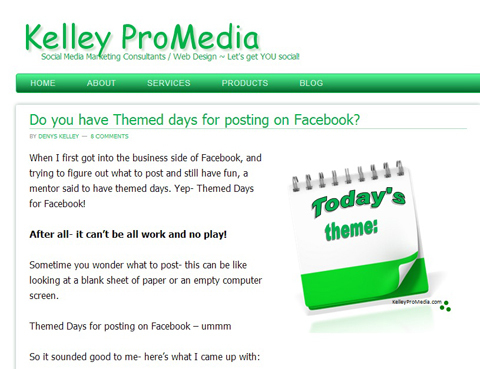 Are you struggling to find ideas for posts on Twitter, Facebook and Google+? 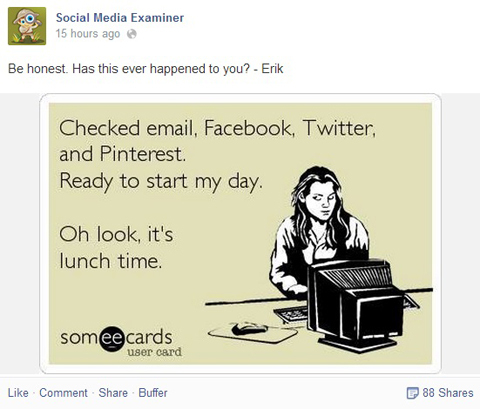 Do you need to come up with additional social media updates? Even seasoned social media marketers can find it difficult to keep up with the demand for fresh content. In this article you’ll discover 26 (A to Z style) prompts to help you deliver a never-ending supply of social media updates. 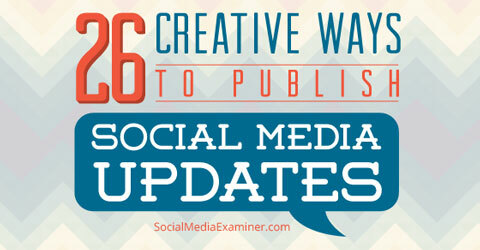 Find 26 ways to publish updates on social media. Quotes are always popular on social media and there are hundreds of websites that curate different ones. You’re bound to find plenty that are relevant to your industry. Choose or make quote images that are visually appealing and convey a sentiment readers connect with. The result? Fans like and share the quote with their friends. Quotes are popular on just about every social network. Avoid the temptation to limit yourself to well-known inspirational quotes. You can use quotes from blog posts, books or seminars. 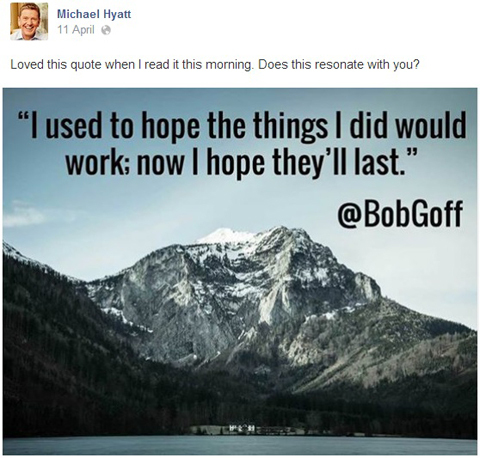 When you publish the post, tag the person you’re quoting—he or she may follow you or share your post in return. When you read a book you think your audience can benefit from, tell them about it.Share your recommendation and quickly explain why the book is helpful. Can it help them solve a problem or is it inspirational? Or is it just a good business bookthat introduces a new take on existing principles? Offer resources to your audience. Depending on where you share it, of course, you may have limited space. For example, on Twitter, you’ll probably have to cut your recommendation down to the bare minimum: Excellent business advice for large and small businesses in @MichaelHyatt’s Platform [link]. 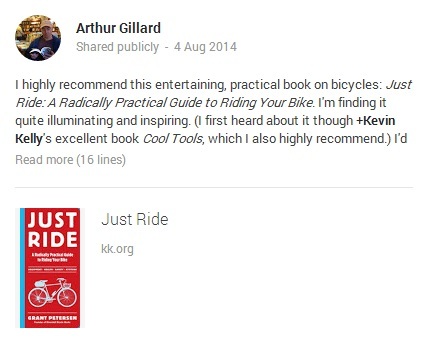 You can link your short recommendation to a more in-depth review on your blog or link directly to Amazon. Has it been a year since you launched a major project? Have you hired a new team member? 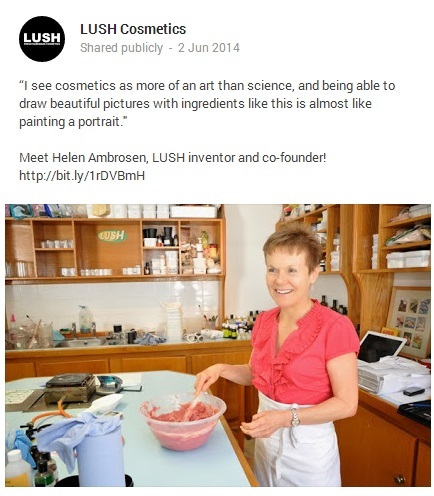 Has it been six years since you founded your business? Share your accomplishments with your fans. Your audience will likely enjoy celebrating with you. Showing your human side is a good way to build a stronger connection with your audience. Introduce your fans to new hires or show your company culture. Milestone updates work really well with an image, especially behind-the-scenes photos. If it’s a big launch or an anniversary, share pictures of the party or a look back at the beginning. If you’ve hired a new team member, share a photo and a short bio so your audience gets to know him or her a bit. There are countless days, weeks and months devoted to unexpected holidays—National Chocolate Week or International Talk Like a Pirate Day, for example. Take advantage of those fun days and create content around them. Post fun trivia related to obscure holidays. Find a themed day or month that aligns with your niche and plan to bring attention to your products. If you’re a chocolatier, you could post something like this: It’s National Chocolate Week, and our five most popular chocolate bars are on sale! You don’t have to stick with industry-related celebrations. If you find a funny day—like Bad Poetry Day (August 18)—get your fans talking by asking them to share a bad poem in the comments. If you’ve been blogging for a while, you probably know about the concept of evergreen content—posts that are still relevant months (and even years) after they’re published. Some tips and advice never go out of style. Social media moves fast and changes even faster, but there’s still advice that never changes (A/B testing, sales funnels, etc.). Share those timeless tips and even curate some of your blog’s best evergreen content. Many social networks have regular hashtagged events, like Twitter’s #FollowFriday where people suggest other users to follow. Or Facebook’s Throwback Thursday (#tbt) where people post pictures from the past (usually funny ones of themselves). Join the conversation during hashtagged events. You don’t need to jump on every bandwagon, but do look out for ways to join in with each social network’s culture and opportunities. Hashtagged events are popular and another good way to show your personality instead of your logo. 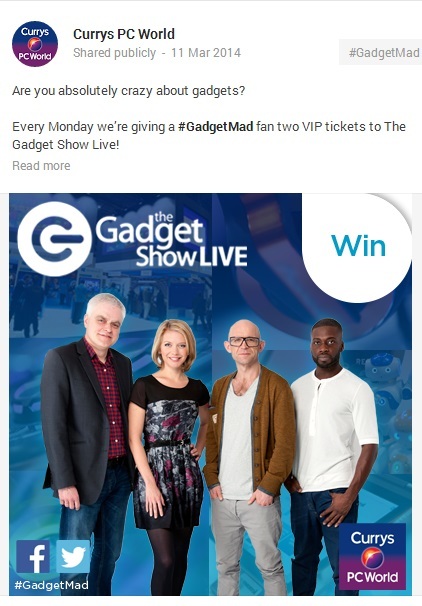 Giveaways and contests almost always get big engagement. They’re an opportunity to encourage fans, followers and others to share your content, link or social profile. I suggest keeping your giveaway or contest as simple as possible. If entrants have to jump through too many hoops, they may not participate. Simple giveaways bring excellent engagement. It’s important to read each social channel’s terms of service before you host your event. Most have specific rules you have to follow. Facebook recently banned the practice of requiring people to like your page before they can enter a giveaway/contest or claim a freebie. Keep an eye out for questions or problems relating to your industry (particularly your own services or products) on social media. It’s useful to set up some basic social monitoring to track mentions and keywords related to your niche, company and competitors. Offer expert advice when you can. It’s best to tread lightly as you answer questions—be personable, not salesy. If you’re answering a question that didn’t tag you specifically but is related to your business, you don’t want to come across as someone pushing into a conversation with an advertisement. Stay focused on offering help and be subtle when it comes to mentioning your product or service. Sneak peeks are always fun for your audience because they like to get to know the people behind the brand. Of course, you’re not always being silly or having a party at the office—you have work to do! But you can come up with other ways to keep your audience in the loop. Introduce your readers to your team. One idea is to pick a different staff member to interview every week. Include a photo of him or her. A headshot is fine, but if you can, try get a more casual or candid shot of the person going about the workday (especially if the job is unusual). Most social networks (with the exception of LinkedIn) welcome humor and offbeat updates. Jokes, funny images and other lighthearted posts are usually well received and end up with increased engagement. In fact some companies have successfully used humor to diffuse awkward situations.Red Cross is an infamous example of how to turn a difficult and embarrassing situation into a positive conversation. Audiences respond well to funny updates. There’s no need to force humor. Just keep an eye out for opportunities to have a little fun, and don’t be afraid to relax. Many of the tips in this article can help you find ways to make your audience laugh (e.g., funny staff photos or industry-related cartoons). If cute kittens are the number-one way to get an “awww” online (and likes and shares), cute kids are a close second. Have you seen any cute viral videos or memes that include kids? Share them—they’re are always good for a bump in engagement. Cute kids get lots of attention, but always get permission to post those pictures. 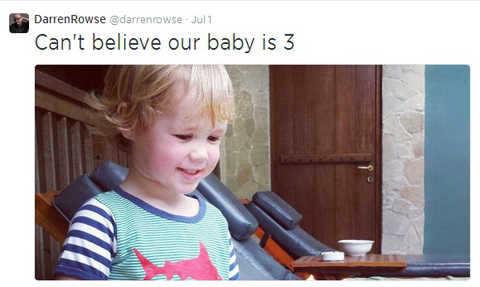 It’s very important to be aware of privacy implications when sharing pictures of children. Always make sure you have explicit permission to share an image of a minor. Links are the lifeblood of the Internet, and a fair number of posts on social networks include them. As with everything, it’s best to find a balance. If you’re tweeting a constant stream of links pointing to your own blog posts or products, your audience probably won’t stick around. If you find a fantastic article, share it with your fans. Make sure you regularly share links to other people’s content as well as to your own. This has a ton of benefits: it helps your audience by pointing them to useful resources, it positions you as an expert curator of great content and it allows you to build relationships with other bloggers and content creators. If someone is making big contributions to your niche, let others know. Usually when you mention people, they’ll get an alert. When they see your post or tweet, it may prompt them to return the favor. Giving others a shout-out is one more way to build a strong network of contacts while adding value to your audience at the same time. Sometimes it’s very tempting to wade into an online argument or vent when something goes wrong. Before you do, though, step back and wait. An ill-considered rant or whine can be off-putting to your existing audience—and that can be a problem if you’re building your business via social media. Negative usually works against you unless it’s lighthearted. Negativity tends to breed negativity. If you come across as grumpy and snarky in your posts, that’s the sort of audience you’re likely to attract. So take a deep breath, step away from the keyboard and avoid posting in the heat of the moment. The exception? Complaining in a lighthearted way that fits your brand (as in the image above). Did an event go hilariously wrong? Post it anyway. Did you catch an embarrassing typo in a blog post just before (or just after) hitting Publish? Take a screenshot and share it. Did you accidentally delete your whole website and have to beg your web host for help? Let your followers know. Everyone makes mistakes. Let your readers know you’re human. While you obviously don’t want to give the impression that your company is in shambles, sharing the occasional slipup is a way to make your audience laugh, show your human side and demonstrate your commitment to quality. After all, you did spot that typo! Companies tend to fall into one of two traps with promotion: They either constantly promote their products without taking a breath, or they don’t promote enough and leave their audience guessing about what they actually sell. A combination of promoting others and yourself is a good mix. Everything’s a balance, right? A common practice is the 80/20 rule: Post about something other than yourself 80% of the time and use the other 20% for self-promotion. You may already survey your audience via your blog or email newsletter, but a quick informal poll on social media gives you feedback fast (and provokes discussion). Some sites like Facebook have a built-in Poll feature. 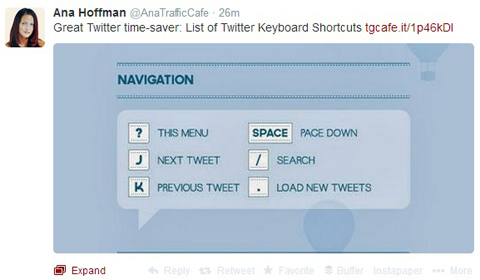 Other sites like Twitter don’t have that option, so you’ll need to curate the results manually. Start a discussion by asking your audience for input. Your questions can be industry-related (e.g., “What brand of camera do you use? Why?”) or aimed at giving you a better idea of what your audience likes in general (e.g., “What do you look forward to on Mondays?”). If you normally post social media updates through Buffer or another scheduling service, it’s easy to forget to check for comments. But no social network is a one-way medium—when you respond to comments, you’re likely to get even more interaction from your audience. 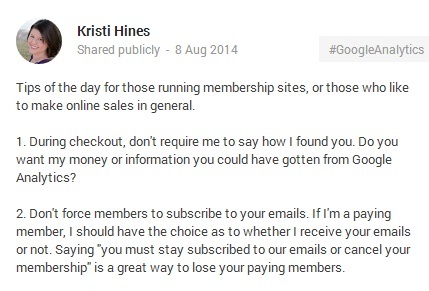 If you own a small business and are doing your social media yourself, you don’t have to address every comment immediately (you’d never get anything else done!). But you should check in at least once a day. If your company has a team that monitors your social networks and replies to queries and comments, give them as much freedom as possible. Train them how to respond instead of requiring them to go through a chain of command before they answer. As I’ve mentioned before, it’s always good to share other people’s content. You don’t need to go overboard and bombard your followers with a constant stream of links, but it’s always nice to share important, valuable or just plain funny content. People appreciate it when they’re noticed. The content you share is another way to set yourself up as an expert. When you share a good mix of information, your fans and followers know they can come to you for updates on industry news or fun content, and your online relationships grow stronger. Have you had someone go above and beyond what you expected? It feels so good when someone gives you great customer service or helps you solve a nagging problem. You probably thanked that person privately during your interaction, but a social media thank-you is a great way to let the world know how much you appreciate the service. There are so many instances of people complaining about service on social media, and so few people showing appreciation. If someone makes your day, try to reciprocate. Social media thank-yous are particularly appreciated because they act as testimonials. 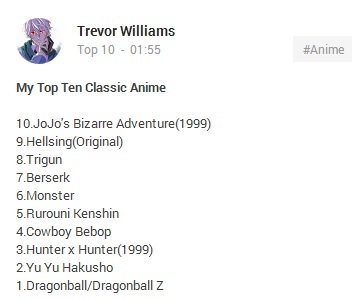 People love a good list. 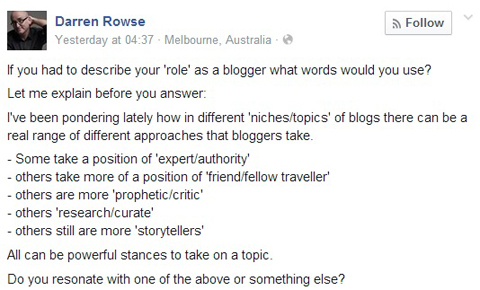 If you have a blog, you’ve probably written a list post at some point, but have you tried sharing one on social media? An update with a list of resources, books, tips—anything that fits with your audience—can end up with big engagement. Lists are an easy way to share recommendations with readers. Since you’ll have fairly limited space, keep your list focused on one category(e.g., best online marketing books published in 2014 or 10 blogs all content marketers should be reading). If possible, tag anyone you mention (like authors or bloggers). You never know, they may comment, like or share your post. Images aren’t just for Pinterest and Instagram—they do extremely well on Facebook and Twitter too. On networks where most updates are pure text, an eye-catching image can really stand out. Readers migrate to visual content. There are dozens of types of visual content you can use—photos, infographics, screenshots, videos, custom images with overlayed text, the list goes on and on. Debbie Hemley shared some fantastic ides in her post 26 Ways to Use Visuals in Your Social Media Marketing. Social media never sleeps and it can be tough to come up with content on a regular basis. Having a routine can be a huge help. A weekly pattern makes it easier to plan content and gives your audience a sense of consistency—they know when to show up for certain content. For example, you might decide that every Monday you’ll post an inspiring quote, every Wednesday you’ll have a tip of the week and every Friday you’ll link to the top three industry posts that week. Create a routine and matching templates for easy posting. To make your routine even easier, create simple templates for each type of topical post. Donna Moritz suggests making an image template so you can just drop the text in, but keep consistent branding (these are especially handy for quotes). Does your audience prefer PCs or Macs (or are they Linux geeks)? Find out by asking them an X vs. Y question—PC or Mac? Which do you prefer, summer or winter? Are you an optimist or a pessimist? Fans are more likely to answer easy questions. Simple questions usually lead to fun interaction and they give you a better sense of who your audience is. For example, if you find out most of them use a PC, but you’ve been talking about Macs, you may discover you need to make some changes. Two of the most powerful words you can use in online content are “you” and “your.” Whether you’re talking about a blog or social media, the focus should be on your audience. Posts with “I, I, I” take the focus away from your audience. Your audience likes to know your focus is on them. Take a look at your 10 most recent updates on any network, and see how often “you” and “your” crop up. If you feel the balance isn’t quite right, look for a way to write more “you”-focused updates that show genuine interest in your audience. Sometimes (OK, a lot of times), social media sparks strong feelings. Perhaps a customer has posted a negative review about your product or service, or someone has complained publicly about their dissatisfaction. Acknowledge complaints with a quick, genuine response. Most people just want to know they’ve been heard. Respond quickly and politely to diffuse the situation. The way you handle the issue may win back your customer or catch the eye of a new prospect—never forget that social media is very, very public. If you feel like your social updates are getting stale, it’s time to try something new. My hope is that the ideas in this post spark your creativity and get you started in that direction. While some of the updates I’ve mentioned here may not be a fit for every business, it’s a safe bet you can pick at least a handful from the list above and add them to your editorial calendar.